You don’t have to download the software to play your favorite games now. All you need to do is register with our online casino and play the game without installing it. Strictly Cash Casino is a leading online casino which provides the best i giochi con croupier dal vivo come il multi-giocatore di roulette dal vivo, blackjack and many more live game versions. 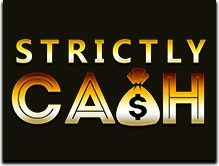 Puoi registrarsi gratuitamente a Strictly Cash Casino and win a great 100% welcome bonus up to £/$/€200. Hurry up register now! there are many other whopping promotional offers such as game of the day, game of the day, spin the slots and many others that will keep you going.